This whole "currently loving" thing was supposed to become a series. But it's been 5 months since I posted the last edition. Titled Currently Loving: Chokers. That last post also happened to be the first edition in the series. So this post is only the second in this (almost non-existent) sequence. Perhaps I'll do this series more often in the future. Or perhaps I won't. I'll keep you in suspense. It makes things more exciting. So let's talk about what I'm currently loving. 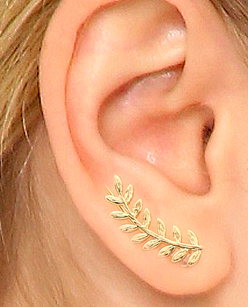 Ear cuffs. 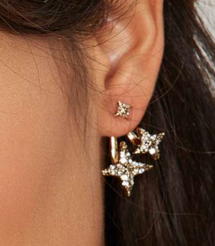 And ear jackets. 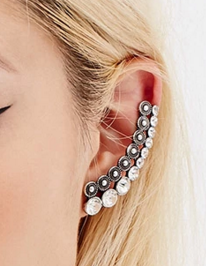 And ear crawlers. 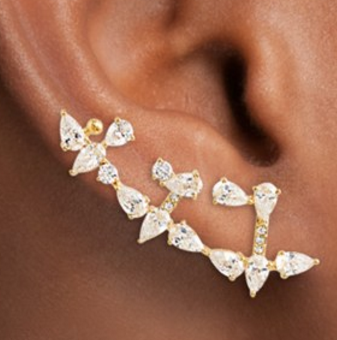 And ear climbers. Which are the same thing as ear crawlers. I think. 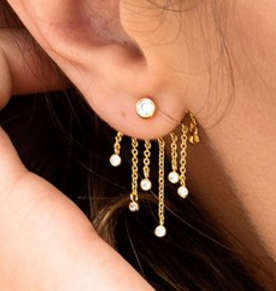 Until a few weeks ago, I had no clue that there was a different name for earrings that wrapped around the ear and earrings that rested across and up the earlobe. 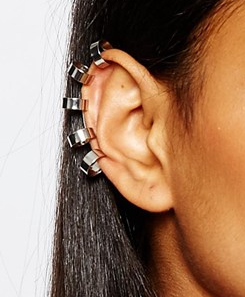 Yes, the former goes by "ear cuff" and the latter style is titled "ear crawler" or "climber." So you're welcome for the earring terminology lesson. Free of charge. I'm just so happy I've been able to enlighten you. 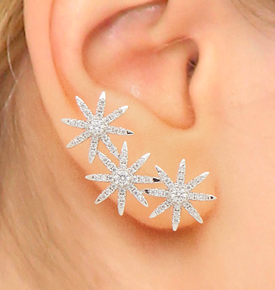 And then there's also the earrings that rest both in front and in back of the ear lobe. 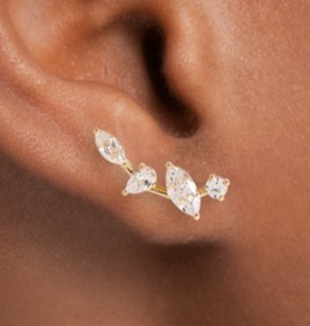 These are called ear jackets. This was just a bonus piece of information I wanted to supply you with. I love all three styles. 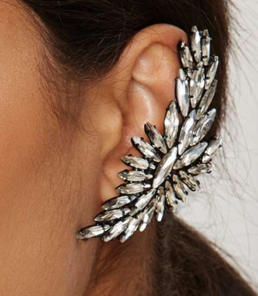 Ear cuffs, crawlers, and jackets. Especially the 40 options above. Especially the star options amongst the 40 options above.